I've only ever seen the 95 minute version and that feels well long enough. Couldn't imagine what more needs to be added really! Ooh, would love to see Streets of Fire on the big screen! Walter Hill (Street's Of Fire) was such a great director back in the day and even his later less successful outings such as Johnny Handsome,Another 48 HRS etc still have a lot of entertainment value! http://m.imdb.com/name/nm0001353/filmotype/director - Hard Times (1975) with Bronson and Coburn what a great film that was! His later less successful outings? I would say those films you mention (which are a quarter century old now) are stone cold classics compared to pretty much anything he has done in the last fifteen years. Yes certainly true Peter,Johnny Handsome,Extreme Prejudice,Red Heat,Another 48Hrs,Last Man Standing etc.etc. definitely trump anything he's done since 2000 onwards though I didn't dislike Bullet To The Head which he made with Sly Stallone back in 2012 which felt a bit like a throwback to his thrillers of the 80s! "A film adaptation of D.H. Lawrence's novel. After a crippling injury leaves her husband impotent, Lady Chatterly is torn between her love for her husband and her physical desires. The drama part just doesn´t work. No highs or lows here, things just come and go. And the ending felt rushed, i wonder if it´s the same with the book. Cheesy but not overly cheesy with an interesting plot about an abused son who is deranged. He keeps mom's corpse in the house and is seemingly motivated by her presence. "A young artist, searching for his vocation, makes a mannequin so perfect he falls in love with it. Finding the mannequin in a store window, he gets a job there and his creation comes to life." I still find this a lot of fun to watch. I'm contemplating watching "On The Move". 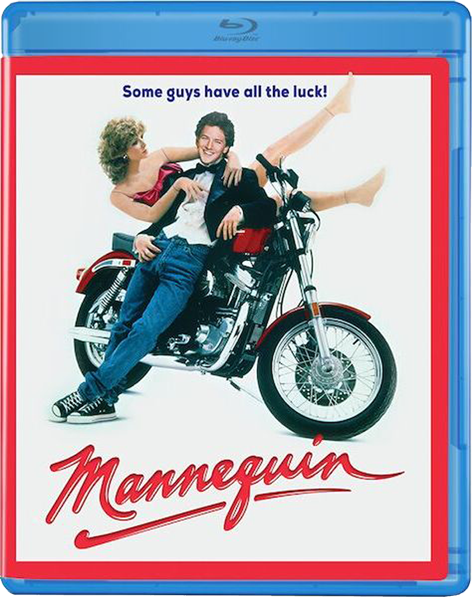 Mannequin is a lot of fun J2ME though I couldn't quite make it through part 2 even though I adore Kristy Swanson,might give it another try sometime! 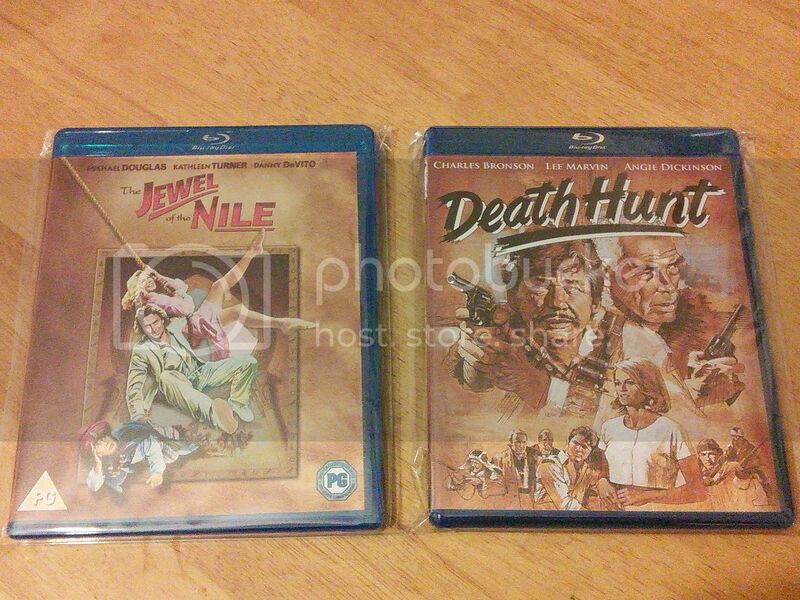 1981's Death Hunt and the 1985 Romancing The Stone sequel The Jewel Of The Nile,both fun action adventures,Jewel which I first saw back in the theatre's on its original release and must admit to not being the biggest fan of at the time seems too improve with each viewing and though it does fall short of 1984's Romancing The Stone it is still a pretty decent and generally very entertaining sequel! Looks great on Blu-ray especially once they get to sunny Africa (Morocco) and Michael Douglas's colourful shirt in high-definition is certainly a sight for the eyes. https://youtu.be/TiG8ojJPtEE - Jewel Of The Nile trailer (1985). Death Hunt is an enjoyable early 80s man hunt thriller (based on true events) with Albert Johnson (Charles Bronson) falling foul of the local law after a dispute with a despicable gang that are participating in a dog fight,Bronson witnesses the brutal dog fight and intervenes and manages to save one of the half dead dogs and this then upsets the gangs leader Hazel as played by the late veteran actor Ed Lauter. Hazel and his men decide to pursue Bronson to his log cabin and after a violent confrontation leaves one there gang dead Hazel (Lauter) seeks the help of the local police Sargent Edgar Millen (Lee Marvin) and his men Sundog - Carl Weathers and Alvin - Andrew Stevens (who played alongside Bronson 2 years later in 1983's 10 To Midnight) into tracking down the dangerous trapper Albert Johnson( Bronson). Great little thriller this that features stunning snowy location shooting of Alberta Canada plus some exciting action sequences and a high calibre cast as you've not only got Charles Bronson and Lee Marvin but you've got Carl Weathers,Andrew Stevens,William Sanderson,Ed Lauter and Angie ****inson as well! Also looks good on Blu-ray and is a noticeable improvement over the previous DVD though i did find the dialogue slightly muted at times. https://youtu.be/yzCjznfI7Ac - Death Hunt trailer (1981). Mannequin is such a feelgood movie and there´s nothing to be ashamed of if you happen to love it. The sequel is not that bad, supersilly but fun stuff. I also like Death Hunt, The Jewel of the Nile not so much. Caught part of Weird Science last night. Been a long time. Always a fun one! Sweet! I can't even remember what channel I watched it on, but must be getting some good play right now. I watched Mannequin two nights ago on one of those movie channels on Dish tv. At my Dad's house. This movie just screams "1980 s" to me. The clothes, the zany characters, the jaunty montage with Andrew and Kim changing clothes. I forgot how pretty Kim Cattrell is, and Andrew was at his prime back then. I know it's a silly movie, but it does make one feel good and nostalgic for the 80's. Watched the 1987 crime drama Best Seller with the excellent pairing of Brian Dennehy and James Woods this was an ace little thriller which featured first rate performances from both leads and a great script by Larry Cohen,cool electronic music score as well by Jay Ferguson that seems impossible to find. Only downside for me here was British actress Victoria Tennant who I don't dislike but she sort of felt slightly out of place to me here and didn't quite convince in her role! Overall though a top thriller that deserves a lot more credit! https://youtu.be/jWKyXlgcYoA - Best Seller trailer (1987). I think that like many of Larry Cohen's screenplays, the basic idea of Best Seller is brilliant. He always hooks you with a clever concept. I like Best Seller a lot, but it's not quite perfect. It needed maybe one more draft of the screenplay. Or it could be, as I think that I read somewhere, the subplot with Tennant was severely reduced in the final edit. Anyway, I agree: good, underrated thriller. Both Dennehy and Woods are especially fine. Watched The Empire Strikes Back at the weekend. Cute little espionage vehicle for Tom Hanks, who excels as the hapless, unwitting stooge in a CIA power struggle. Also stars Jim Belushi, Carrie Fisher, Lori Singer, Dabney Coleman, Charles Durning, and a great little cameo appearance by David Ogden Stiers. Is there still a thread for last 80's movies you watched, because I can't seem to find it? I watched most of Colors starring Robert Duvall and Sean Penn late last night. I just couldn't make it to almost 2:00 am. I did watch it on AMC awhile back, and the AMC version is terrible. They deleted so many scenes and swearing, it is not worth watching. Good movie if you see the real cut. Yep it's still here Pittsburghgirl. 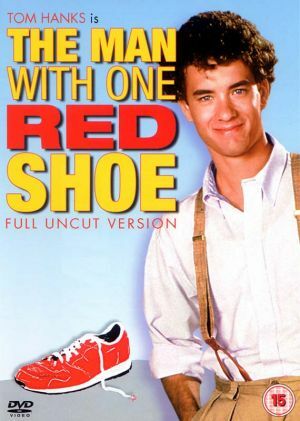 Though one of Hanks lesser known outings I thought The Man With One Red Shoe was pretty good fun overall! "Colors" (1988) is an amazing film - very grim & gritty. It was almost prophetic in a way - since it pre-dated the L.A. riots from the early '90's. Thanks guys. I honestly searched for this thread exactly as it is titled, and it did not pop up. That is up there with my Google searches. I will do a search and come up with nothing. My husband does a search and comes up with 500 hits! I watched Man, Woman and Child a few nights ago. This felt like a tv " movie of the week". No wonder it was a flop. St. Elmo's Fire. For the 600th time. I never get tired of watching it. Makes me wish I could time travel back to 1985 and my freshman year of college. Kirby would have been arrested for his creepy stalking of Dale if it was nowadays! skatexedge, I feel the same way when I watch St. Elmo's Fire! I really wish I could go back to those crisp fall days, crunchy leaves on the sidewalks, beautiful autumn colors, and fun fun fun ! Rewatched Vacation (1983), first time on blu-ray. This time the funniest jokes were the car salesman scene (Eugene Levy rocks!) and Chevy falling asleep while driving the family truckster.